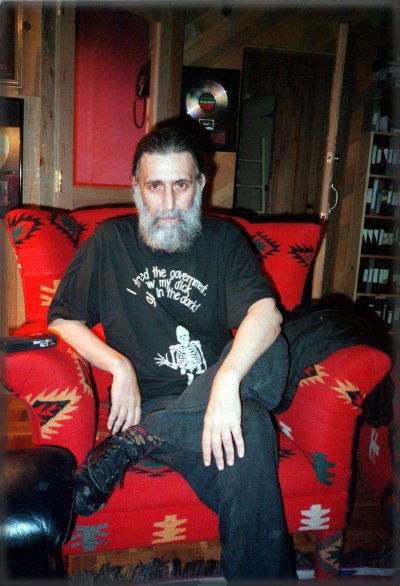 I want to start my Zappadan blogging by remembering Bill Tchakirides. Bill was a regular Zappadan blogger at Under The Lobsterscope. The last entries indicate that Bill died on April 27, 2013 after a cancer diagnosis. So, sadly, we’ll be one voice short this year. Cheers, Bill. or, more pressed for time? http://youtu.be/69ptd7WGslA, running time of more like :10. Watch Frank’s face beam at around the five minute mark. These unedited moments are chaotic and often nothing’s really going on, but this is the farthest inside the UMRK you’re ever going to get, and it may be the only glance we have of the last time Frank Zappa wielded any kind of creative powers. And, they’re downright sweet to watch; there is a grand sense in these films of profound warmth and generosity. Zappa in his final year or so I think got more of what he wanted than he’d ever had: Music. Pure music. The best. The salad party footage is some darned nice film for your typical Zappa mouth-foamy fanatic and a great way to kick off Zappadan. Come on, let’s play the Feud. Name an event that is not Frank Zappa’s death that also has an anniversary on this date. Montreaux Casino Fire! Survey says! Ladies and gentlemen, here is actual audio from the Montreaux Casino Fire of December 1971, which prevented Don Preston from carrying out his excellent synth solo during “King Kong…” and ultimately led to one of the most memorable guitar riffs in rock music. Audio is apparently availble on Beat The Boots II: Swiss Cheese / Fire! The link gives you the playlist, which is of course interesting to peruse. Hey, Aaron. Don’t you usually pick a theme and write about the theme during Zappadan? Yes, imaginary questioner, yes I do. And this year’s theme is AAAFNRAA. We end today’s Bummernacht proceedings with footage found on the YouTube of Zappa’s sister Patrice and friend Shirley remembering Frank Zappa on his birthday 2011 at his gravesite at the Pierce Bros. Westwood Memorial Park. I like these gals. They’re funny. Merry Zappadan to you and yours and may you encounter many giraffes horking whipped cream. And miracles. Many many Zappadan miracles to you! P.S. Come back tomorrow. We have something special planned. This entry was posted in Appreciation, Zappa, Zappadan, Zappadan 2013 by Aaron B. Pryor. Bookmark the permalink.